The new age gadgets give an aura of science fiction to the narrative. What’s next? Google’s 4K Chromecast Ultra and voice –controlled Home make their debut next month. Both go on sale after the launch. Put simply, Google Home is a Wi-Fi-enabled voice activated speaker powered by Google Assistant and Google’s intelligent search. Reportedly priced at $129 for the Google Home and $69 for the Google Chromecast Ultra, managing the home front will boil down to pushing some buttons and things get done. The prices undercut the similar Amazon Echo by $40 and the Chromecast that doubles the price of the current model. As for Chromecast Audio dongle, Google has given a price cut of $10. It is now available at $25 on the Google Store, according to Android Authority. Google is expected to formally announce Home at its much-awaited October 4 event. Google Home is a speaker with a sensitive microphone array that allows users to simply say it’s name to carry out a search or control smart home gadgets, hands-free from anywhere in the room. Google Home works as a speaker system and is a gateway to other smart connected devices. In a sense it is a multi task force. Get a weight conversion without letting your grubby hands mess the controls. Get the smart connected oven to get primed and ready for cooking with Google Home without stopping the cooking process. Voice commands could get the Home to get ready for bed and to get things prepared, shut off smart connected music players and even bolt smart locks for the night. Work backwards for the morning drill to get the smart coffee maker to get ready for you when you move into the kitchen. It is compatible with Google’s Nest that has a stylish thermostat and smoke alarm. Manage your video content without moving from your seat. Yell for your favorite game and it pops up, buy stuff with it, and much more. Yell out your favorite tune and listen to the music to your ears. This calls for recognizing that Google’s speech recognition is top class. The way is being paved for shopping, media management and lighting being done with an inanimate, well designed, button less slave. There are concerns about an internet-enabled microphone in your house, especially if it’s connected right to Google. It is fair that Google Home will only do the things that you want it to do. Performance wise the new voice assistant that Google offers scores over that of its competitors like Apple. While the voice assistant of other brands fumble during searches and come up with far flung responses, Google Assistant does better and does not drive you nuts during the exercise. 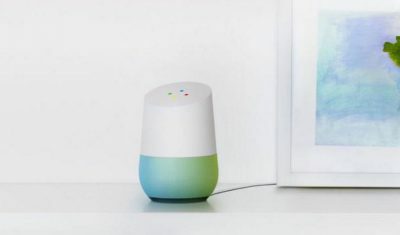 The post Google Home and Chromecast Ultra release draws closer appeared first on Gadgets Post.